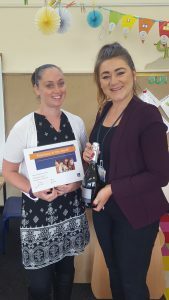 New Directions Wrexham have named Michelle Leach as their ‘Employee of the Month’ for May 2016. Michelle said of the award ‘Thank you, it’s a pleasure working with the children everyday. They make the job worth while’. Shannon Mash, Account Manager for New Directions said ‘ Michelle truly deserves this award, she puts 100% into the role and consistently received excellent feedback. Michelle has been in a long term placement and has settled in as part of the team’.